In order to get skin tight and youthful, many people are willing to do various ways. From start using a variety of skin care to try the treatment at the beauty salon. In fact, there are also daring to try treatments that are somewhat unique and different. One of them is PRP treatment. Also often referred to as ‘Vampire Treatment’, PRP treatment is claimed to help various beauty problems. 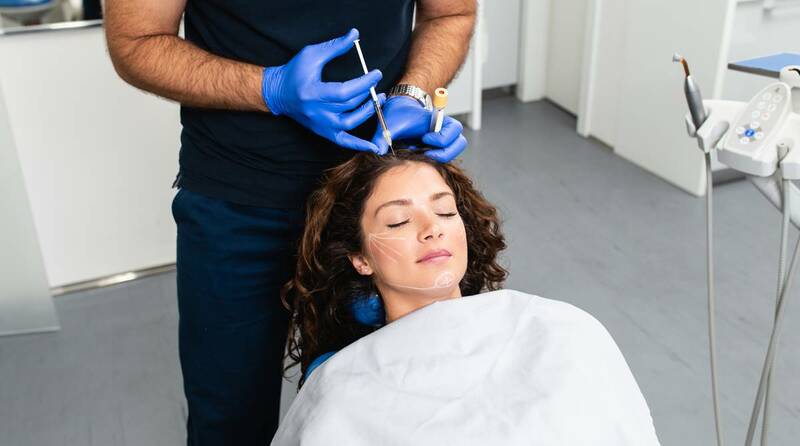 Platelet Rich Plasma (PRP), also known as ‘Dracula’ therapy, is designed to combat the signs of ageing without the need for intrusive surgery. It combines cutting edge technologies with the body’s natural ability to heal itself. A small amount of blood is taken from your arm and then separated through a process of centrifugation into red blood cells, clear serum and platelets. After a few minutes, the plasma and concentrated platelets are injected into the face or the area of the body in need of rejuvenation. Platelets release growth factors that help the body repair itself by stimulating cells to regenerate new tissue. As well as improving skin tone, the treatment also promotes healthy skin growth and collagen production so skin appears plumper and more vibrant. It stimulates DNA repair, heals scars and makes dry, wrinkled and lacklustre skin feel and look younger, naturally. This 100% natural treatment can be used for the face, hands, decolletage, eyelids, neck, loose skin, and around the eyes. A fantastic treatment choice for improving ‘turkey neck’. In addition to skin rejuvenation, for those who have hair loss problems, PRP treatments can even be done to stimulate hair growth. • A full consultation is required to see if Regen PRP is right for you. • 7 days before your treatment discontinue supplements that increase the chance of bruising. • Expect minimal swelling, bruising and redness for 12-24 hours. • Some clients experience headache. • Some patients may feel faint. • A bruise at the venepuncture site may be visible for 2-3 days.